Sudan. The endless lines outside bakeries and gas stations suggest an almost willful naiveté about the dire economic and political situation. The Kafkaesque bureaucratic system requires an element of nepotism to vitalize it into animation. The lack of cash in . 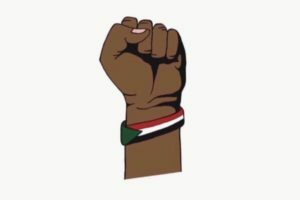 . .
We, the Alliance of Middle Eastern Socialists, support the ongoing uprising which erupted across Sudan starting December 19th, 2018. The protests were set off by the lifting of subsidies on bread, wheat, and electricity as well as spiking inflation. The United Nations Development Program has estimated that nearly half of the population, i.e. 20 million, live below the poverty line. However, their demands go much deeper and call for the downfall of the regime of Omar al-Bashir because of its decades of economic, political, and social repression. The dictator al-Bashir was also on the verge of obtaining constitutional amendments allowing him to run in the presidential election in 2020. In South Africa ten members of a militant shack dwellers organisation have been assassinated in the past six years. Yet many progressive organisations have distanced themselves from these militants. Jared Sacks exposes the complicity of a mainstream NGO that could have played an important role defending the movement against these political assassinations. Sacks argues that when movements refuse co-optation, repression, including assassination, become necessary to maintain power. A CNN report last November about slave auctions in present-day Libya shocked the world.1 The existence of these slave auctions was widely treated as a new development in the country and a result of the chaos that resulted from the NATO-supported overthrow of Colonel Muammar Gaddafi. In truth, however, what CNN discovered is but a surviving remnant of Gaddafi’s regime—the Libyan Arab Jamahiriya—a police state with systematic racism and abuse both of Libyans of sub-Saharan African descent and of sub-Saharan African migrants. At the twenty-eighth Summit meeting of the African Union (AU) held in Addis Ababa on 30 January 2017, Morocco’s readmission to the continental body generated heated discussion. At the end of the day the Kingdom of Morocco managed to win over sufficient member states on its side and it was allowed to join the fold unconditionally. On May 12, Brazil's democratic government, led by the Workers’ Party (PT), was the victim of a coup. What will the other BRICS countries (Russia, India, China, and South Africa) do? Will they stand by as the reactionaries who took power in Brasilia pivot closer to Western powers, glad to warm Dilma Rousseff's seat at the BRICS summit in Goa, India in five months’ time? Or take a stronger line, following the lead of Latin American progressive countries (Venezuela, Cuba, Ecuador, Bolivia, Nicaragua and El Salvador)? Who Wins From “Climate Apartheid”? I am writing you in regards to your book The Wretched of the Earth. Before discussing your book in detail, I would like to thank you for writing it. Evidently it was written with passion. This letter serves as a means to recognize the continued resonance your work holds amidst our ever-changing geopolitical realities. Moreover your work, particularly its emphases on structures of power as well as experiential learning has had a direct impact on me. Increasing my understanding of my position in this world, The Wretched of the Earth has influenced my decision to relocate to South Africa as a volunteer with the Rural Women's Movement I anticipate the perspective gained from this experience will be incalculable. Hugh Masakela, the great South African trumpet player was joined by Vusi Mahlasela, the guitarist and singer in a “Twenty Years of Freedom” concert at Queens College on February 19, 2015. They played many of Masakela’s classics of the 1960s and 70s such as the lovely 1968 hit “Grazin’ in the Grass,” the joyful and inspiring“Bring Back Nelson Mandela”, and the sad “Stimela – the Coal Train”, to an audience many of whom had been supporters of the freedom struggles against apartheid in South Africa until its overthrow in 1994. Global Capitalism and Pathogenic Environments: Is palm oil monoculture responsible for the ongoing Ebola outbreak? Ebola: Who are the Architects of Death and How Can We Combat Them? According to the latest predictions of the U.S. Centers for Disease Control and Prevention (CDC), if the Ebola pandemic continues to progress at the current rhythm, it could affect 1.4 million people in Liberia and Sierra Leone between now and January 2015, leading to the deaths of 700,000 in a year, and thus making Ebola the third leading cause of death from infectious diseases in Africa, after AIDS and respiratory diseases. Filoviridae Ebola is a virus made up of ten proteins that was first identified in 1976 in Zaire, today the Democratic Republic of the Congo (DRC). While today five types of the virus are recognized, they are all believed to be mutations of the first known strain, which one finds today in western Africa. (Gire et al., Science, August 28, 2014). Ghana, known for its stability and economic prosperity in the last 50 years, is praised as a model African state. Despite their rise to a middle income country, Ghana is struggling to deal with the rise of Kayayo’s, a destitute working class who go unacknowledged by policy makers. This is the story of an American living in a Kayayo town. 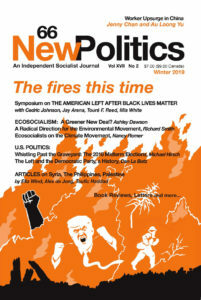 Patrick Bond’s piece “Mandela: Was he pushed or did he jump?,” posted At Links International Journal of Socialist Renewal, graphically describes the catastrophic transition from South African apartheid to today’s neoliberalism – a sobering cautionary tale for all fighting for radical democratic change today – in Greece, in the U.S., in the Middle East, and beyond. Even though the neoliberal pressures are enormous, we all need to think about strategic alternatives. The question of where Mandela would be laid to rest was finally resolved in June, months before he passed away on December 5, 2013. I’m here with Mazibuko Jara. Mazibuko is from the Democratic Left Front of South Africa. He was spokesperson for the South African Communist Party and the deputy secretary for the Young Communist League, back a decade and more ago. He is one of the co-founders of Amandla magazine and the Democratic Left Front, and they’ve been extremely active in the support for the Marikana miners and for South African farmworkers, and elsewhere. We’ll talk about this and more in this interview. Today is Sunday, Dec 2, 2012. In mid-January of this year France invaded Mali, a former French colony that sits in the middle of what was once the enormous French empire in Africa that stretched from Algeria to the Congo and from the Ivory Coast to the Sudan. The French government argued that its invasion of its former colony was an anti-terrorist and humanitarian intervention to prevent radical Salafist Muslims from taking the capital of Bamako and succeeding in taking control of the country.